O (Observation): Astounded by the huge amount of money they have gathered to build the temple for the Lord, King David can only give praise to God. His understanding of stewardship seems in line with Paul’s understanding in the NT. King David gathers military leaders, church leaders, political leaders, and gives the vision for the building of the temple. This temple will honor the Lord. David asks the leaders to step forward with an offering. He contributes, as well. The humility shown by King David is also astounding. Here he is, king over the nation, declaring himself and his people like “resident foreigners, nomads,” a phrase rarely uttered by any king. He recognizes the brevity of life, but also the abundance that the Lord has provided so graciously. A (Application): King David is quite the inspiration for stewardship. I say this not because he gave so much personally, which is pretty cool and inspiring. I say David provides a great lesson because he recognizes that his abundance comes from the Lord, and that this money / title / land still belongs to the Lord. This scenario shows that the David Identifies himself as a chosen one of God, like you or I do. David can also then be Obedient to God’s will, knowing that God provides. Also, David has real Authority to lead (by having been anointed), and that means David can exhibit real Power in the world, as God’s agent in the world. 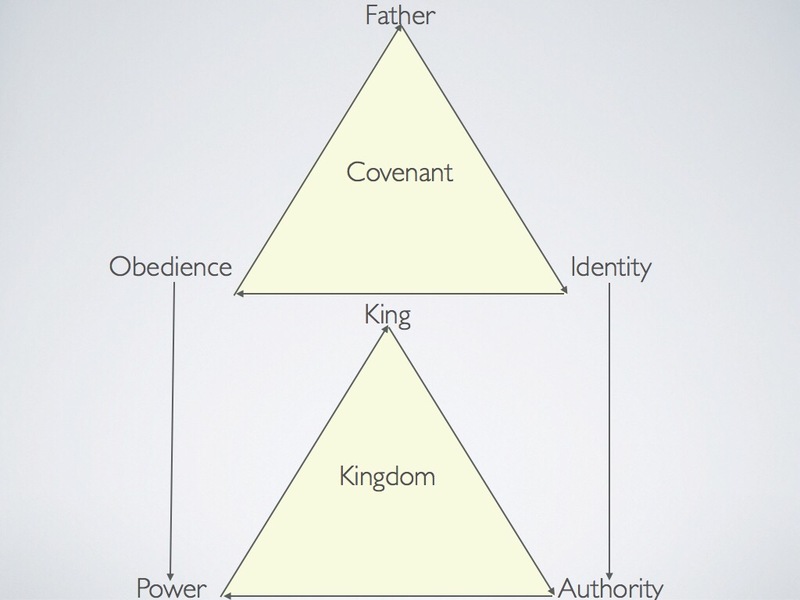 Covenant (Relationship) and Kingdom (Representative) abound here in this lesson. P (Prayer): Lord, you provide for us. When we have plenty, help us to be thankful and generous. When we have little, help us to be grateful for what we have and to be faithful to you. Amen.